Baotou is a prefecture-level city settled at the base of the looming Yin Mountains, on the north bank of the magnificent Yellow River. It’s about 160 kilometres (100 mi) west of Hohhot, the capital of Inner Mongolia, and is the largest industrial city in the region. 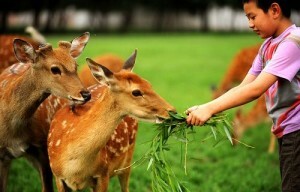 Its Mongolian name, which translates to mean “place with deer”, has earned it the nickname “Deer City” as it is the only city in China to contain part of the Mongolian grasslands within the city itself. 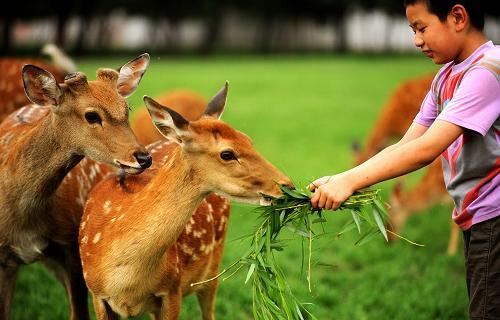 That being said, the deer are kept firmly in the grasslands, so there’s no need to worry about a rogue stag sneaking up on you and stealing your dumplings! During the Warring States Period (c. 476-221 BC), the area where Baotou sits belonged to the State of Zhao and part of the original Great Wall ran through one of its suburbs. Yet, in spite of these ancient beginnings, it is a relatively young city by Chinese standards. The region was initially colonised during the Tang Dynasty (618-907) but, by the 1730s, it was still just a small village. During the Qing Dynasty (1644-1912), the imperials resolved to strengthen their control of the territory along the border with Mongolia and began developing Baotou as a market town. Yet its real period of growth occurred in 1923, when the city was connected to Beijing by rail. It swiftly became one of the major commercial centres for trade between Mongolia and northern China and overnight appeared to develop into a large city. Although this rail link was tragically destroyed in 1949, it was restored in 1953 and other lines were added to Lanzhou in Gansu province and to Ürümqi in Xinjiang, connecting Baotou to rail lines across central and southern China. 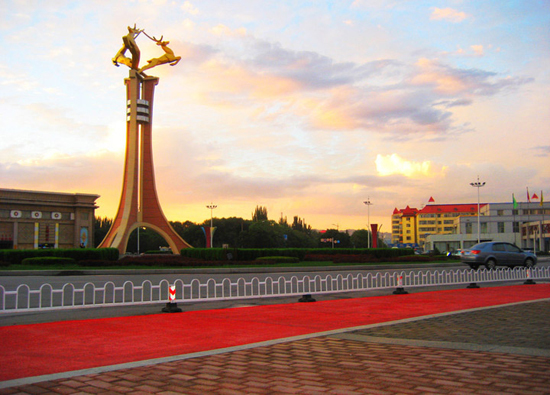 During the 1960s, the city was expanded further to accommodate a monumental iron and steel complex, which made Baotou one of the major steel producers in the country. Unfortunately this did little to attract tourists! Though the city is largely industrial, it does contain a few attractions that are sure to entice some of the more adventurous tourists. The Saihan Tala Ecological Park in the city’s Qingshan District is the only grassland in China to be found within a city and is the perfect place to engage with traditional Mongolian culture. From relaxing in yurts and sipping milk tea to sampling some freshly roasted mutton and listening to a few Mongolian folk songs, the bucolic atmosphere and richly vibrant culture are a welcome distraction in this otherwise urban city. It’s a real country mouse meets city mouse kind of situation! About 185 kilometres (115 mi) south of the city, the Mausoleum of Genghis Khan looms up over the grasslands and resembles three huge, beautifully decorated yurts. It’s a cenotaph or empty tomb dedicated to the mighty warrior and is considered a holy site by the Mongolian people. From engaging in their daily life to experiencing their spiritual practices, by the end of your trip you’ll practically be a Khan yourself!